The Gibson LPJ solidbody electric guitar is the affordable way to add a genuine Gibson guitar to your collection. 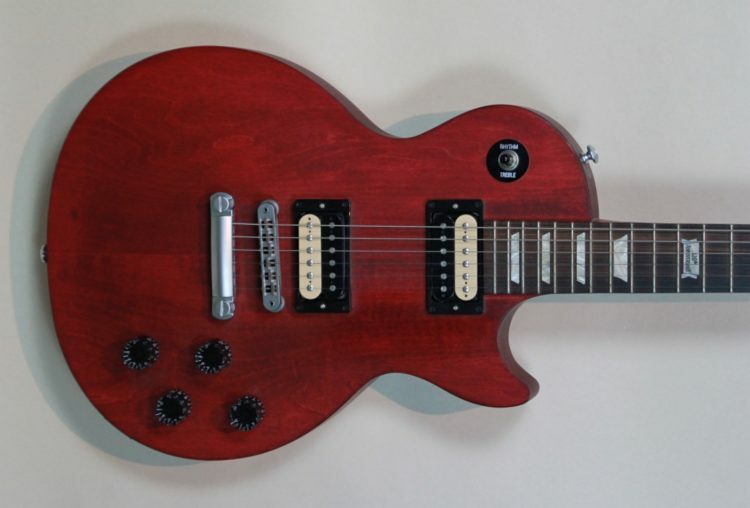 You can gig for hours without the shoulder pain, thanks to the mahogany body with traditional weight relief. You’ll have a solid foundation for chords and fretwork thanks to the ample ’50s rounded neck profile, topped with a bound rosewood fretboard for an extra smooth feel. And you’ve got plenty of classic Les Paul bark and bite when you plug these ’61 Zebra humbuckers into your favorite amp. Sweetwater has your solution for Gibson quality on a budget – the Gibson LPJ! The Gibson LPJ serves up fat guitar tones thanks to its mahogany body. The carved maple cap provides the perfect amount of aggression and bite to this extremely playable guitar. You’ll find the maple neck’s ’50s rounded profile to be the perfect combination of chunk and comfort. Classic trapezoid inlays in the rosewood fretboard give the Gibson LPJ an unmistakable look. This guitar serves up serious tone and killer playability. Gibson equips the LPJ with a pair of ’61 Zebra-coil humbuckers for high-output performance. With just your volume knobs, you can take the LPJ from a purr to a roar. Especially if you’re playing a responsive tube amplifier that’s on the verge of breaking up, you’ve got an incredibly wide range of tone in the LPJ. 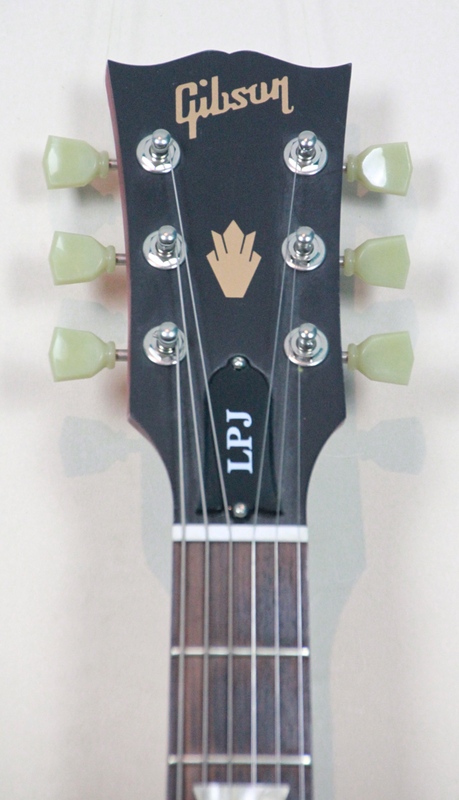 The bottom line about this LPJ is that it’s a real Gibson solidbody electric guitar. Ask anyone, and they’ll tell you that the Gibson name still stands for something. American made and built to the standards Gibson has held to – despite rising manufacturing costs – you can feel proud when you pick up your LPJ electric guitar. The Gibson LPJ is an affordable guitar that’s ready to rock!